There are many steps to obtaining a divorce in Florida, the first of which is to file an official request asking for a divorce. Here, we provide specific information about state’s Petition for Dissolution of Marriage, as well as other documents necessary to start the divorce process. 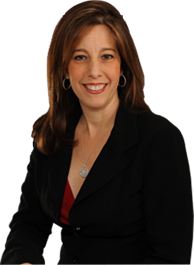 Contact our Florida Dissolution of Marriage attorneys today. In Florida, the divorce process is started when one spouse files a Petition for Dissolution of Marriage in the county circuit court where he or she lives. A simplified dissolution is also available, but only if the parties have no dependent children. If you have dependent or minor children together, or if the wife is pregnant, you must file Form 12.901(b)(1), the official Petition for Dissolution of Marriage. For your case to proceed after you file the Petition for Dissolution of Marriage, you must properly notify your spouse. If you know where he or she lives, you should use personal service, in which case, your spouse has 20 days to answer after being served the petition. In the answer, he or she may agree or disagree with your petition. For more information about what happens next, please see our page describing the divorce process in Florida, as well as our pages explaining uncontested and contested divorce. It can be overwhelming to prepare all of the legal documentation necessary to obtain a divorce in Florida. We can help. Contact Sandra Bonfiglio, P.A. in Fort Lauderdale to schedule a consultation.